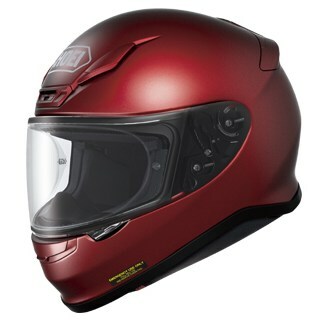 This is a wine red finish Shoei full face street bike motorcycle racing helmet. SHOEI knows that feeling quite well, which is precisely why they never stop pushing progression within their line of premium motorcycle helmets. Enter the all-new RF-1200. With a world-class team of designers and engineers leading the charge, SHOEI utilized its 55-year wealth of knowledge, state-of-the-art wind tunnel facility, proprietary materials, and the industry’s most stringent quality assurance practices to develop the next-generation RF. A lighter, more compact, streamlined helmet with next-level functionality, SHOEI’s RF-1200 has evolved the pursuit of perfection to an all-new level. Shoei RF-1200 Inception Full Face Helmet Black "No Limits"